Cold outside, you have a few sniffles? This soup will fix everything. This is my moms recipe with a few minor tweaks. This is the kind of soup that is a meal in itself, eaten with bread no need to add anything else. You could double the recipe and use an entire chicken. Season chicken pieces with salt and pepper put on a tray and broil 6 inches from heat for about 5 minutes per side. Fill a large stock pot with at least 6 cups of cold water and add the potato, celery, carrots and onion, bring to a boil and add the just broiled chicken pieces. As soon as water comes to a boil, lower heat to lowest simmer, cover and allow the soup stock to simmer for about 2 hours. When soup stock is ready, strain stock through a fine strainer into another pot, take the strained veggies; carrot, celery, onion, potato – give them a rough chop and drop into the strained soup. 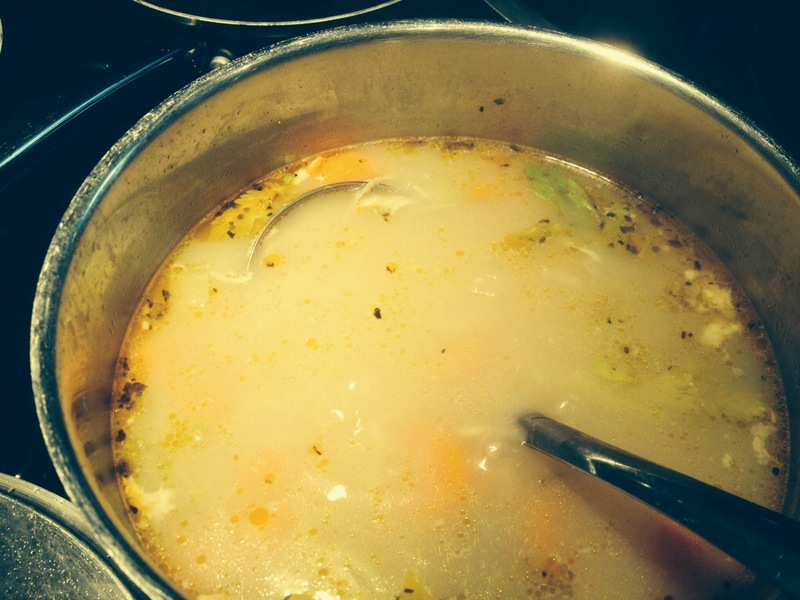 Put the soup stock on the burner and turn heat to medium. Take the chicken pieces and strip away all the meat and discard the skin and bones. Add the rice and meat to the soup and allow to simmer for 30 minutes meanwhile prepare the egg-lemon froth: in a small bowl, beat the eggs for few minutes, juice the lemon and combine with beaten eggs and add the garlic. 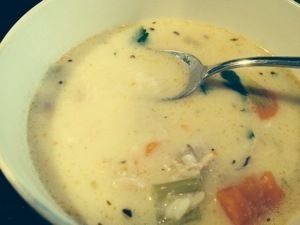 Take ladle full of liquid from soup and very very slowly add to the bowl of egg lemon mixture but continue to beat the egg-lemon with the broth and it’s important to add hot broth slowly so the eggs do not scramble, add another ladleful of broth and continue to to beat the egg-lemon- broth mixture. Turn off the heat of the soup and add the egg lemon into the pot, salt and pepper and parsley.